Can a Woman Teach Sunday School? Complementarianism is the belief that men and women have distinct roles within the home and the local church that are complimentary to one another. So men have the distinct role of being the leader first in the home and then if qualified in the local church, while women have the role of being submissive and helpful to the man in the home and the local church. The line of complementarianism in the home is an easy one to put on paper at least, but the local church is a different story. We can clearly see the boundary lines of complementarianism in that women are not to be elders or pastors. I’m not writing today to defend this position (Read this article for more on that). If that is the clear boundary then what about a simpler task within the local church. Can a woman teach Sunday school? While I’ve never sat under a woman doing Sunday school, I have heard of it being done amongst conservative Baptist congregations. Obviously, no one would argue with a woman teaching a Sunday school for other women or for children (see Titus 2). But what about a mixed audience? Can a woman teach a mixed Sunday school? The thoughtful Christian would be drawn to I Timothy 2:9-15 to answer this question. One of the verses that is often used to say that women cannot teach in the local church is found in verse 11, “Let a woman learn quietly with all submissiveness.” In essence, many use this verse to tell women to be silent at church. Some have even used this verse to say that women then cannot ask for prayer, cannot sing, nor can they say “Amen” during the sermon. While this is the extreme, I write this to show where the logic could lead in misinterpreting this verse. The context of this verse is dealing with how women are to not have authority over the man, and thus should not teach men. The woman who would be a candidate for teaching a mixed Sunday school would have to be a model of Biblical accuracy like any teacher, but also must be a model of complementarianism. She must make it so clear that she is not an elder and that she does not possess authority over a man including her husband that she would be exemplary on these subjects. Her attitude would need to be one that would be gentle and as Paul states submissive. She would have to be a master of her words in making sure that she refrained from the appearance of being an elder such as speaking as though she was a part of the spiritual leadership of the church, putting down other elders within the local church or even outside pastors, and speaking too highly of herself and making herself seem like the example to follow rather than the elders. Her motives would have to be purely to instruct her brothers and sisters and not to see a crack in the door in which to put her foot in achieving some sort of authoritative role within the local church. She, like any Sunday school teacher, would have to be in agreement with the elders on her teaching. It depends on the local church. The local church would have to possess a high Biblical IQ to understand that this woman is not possessing any authority as unto an elder nor is she part of the spiritual leadership of the church. There would have to be such profound unity around the subject of complementarianism that no one would see this as a step towards undermining the formal position of the church in regards to women in spiritual leadership. There would also have to be unity around the concept of a woman teaching this class as not to needlessly offend a brother or sister. The local church would have to see this class as only a class and not as their main meal, that would be reserved for the shepherd of the local church to provide in the Sunday sermon. They would have to understand that while this woman is intelligent, spiritually gifted, and godly in character, she is not on the same level of authority as any of the spiritual leaders in the church. Unfortunately, I’ve heard many Christians say that they prefer the teaching in Sunday school over the pastor’s sermon, to do so with a woman teaching the Sunday school goes against Paul’s teachings. It depends on the format. This class would have to be easily identifiably different than the sermon. For the sermon is where the elders exercise spiritual authority in their teaching. A Sunday school, whether lead by a man who is not an elder or a woman, should not be confused with that authoritative action of the elders of the local church. Consequently, the female teacher’s class should not be promoted as authoritative over the whole congregation. 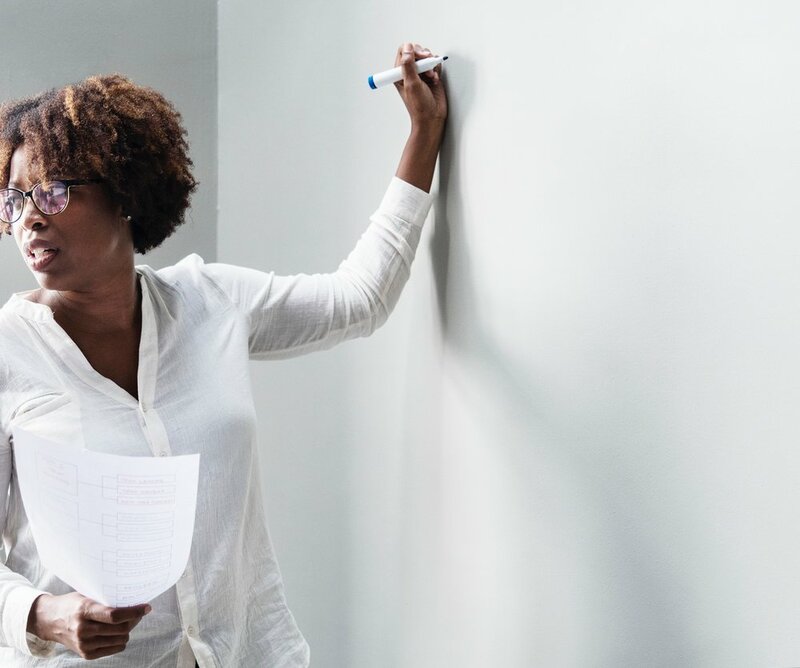 Another factor would be whether the precedent for teaching in the past has been done by only elders, if so than a woman teaching could be confusing for the audience. In summary, a Sunday school lead by a woman should look very different than one lead by an elder. SO CAN A WOMAN TEACH A MIXED SUNDAY SCHOOL? I do not believe what is seen in most churches is Biblical in this regard. Yet, just because most do it incorrectly, does not mean that it is impossible. I believe that it is possible for a woman to remain in her complimentary role while teaching in a non-elderly format, style, and tone before a mixed audience. I just believe that it is very difficult to do so, and is prone to errors along the way that could lead to devastating consequences for the local church, the elders, and even the female teacher herself. My question would be, is it worth the risk? J.D. Greear, Can Women Teach in the Church?